How much of a difference can ten minutes of decluttering really make? It depends on how you look at it. 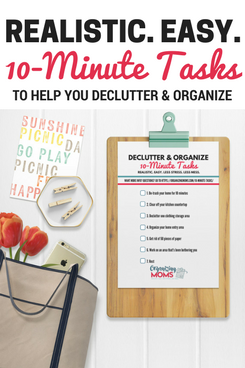 If you’re looking at a whole house that is filled with clutter, ten minutes of decluttering isn’t going to make a huge impact. But, if you look at small spaces, ten minutes can make a huge difference. It’s a clutter hotspot, and it’s messy all the time. Because it’s in our kitchen, I have to declutter it a lot before we have friends over. Fortunately, it only takes about ten minutes of concentrated decluttering to whip it back into shape. I always start by de-trashing the desk first. Then, I try to put things in their place the best I can. It doesn’t look perfect, but it does look presentable. I was really happy to get rid of the big pile of stuff on the right-hand side of the desk. 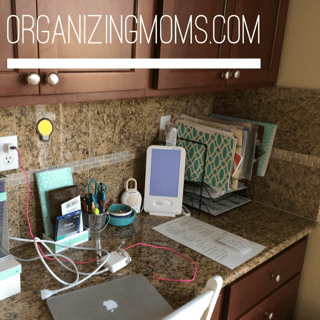 Short decluttering sessions are great for parents, because they’re totally do-able. 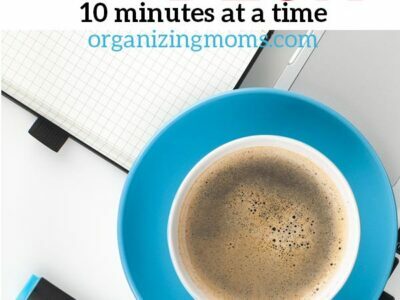 Almost anyone can find ten minutes to declutter. If not, even five minutes will help. 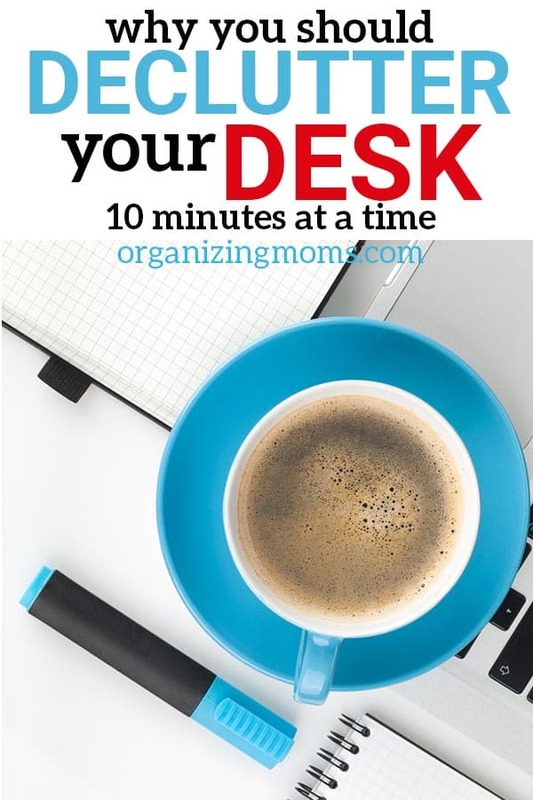 The expectations for a ten-minute declutter are pretty low. You’re not aiming for perfection, just progress. When you finish decluttering, you feel a sense of accomplishment. They are great for clutter hotspots that have to be tidied up all the time. It’s hard to make a bigger mess in ten minutes. 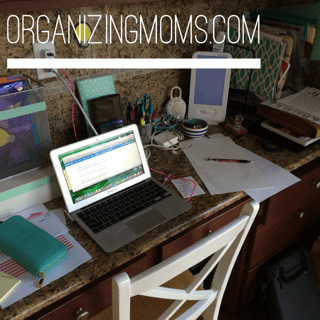 When I work on a big organizing project, I often make a big disaster before anything gets organized. If you know you only have ten minutes to get things in order, you tend not to make things worse before they’ll get better.